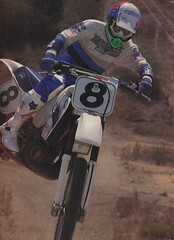 Here is some more really classic race action from my vault of motocross tapes. This one shows highlights from the Belgium round of the 1964 Grand Prix motocross season. Held at the historic castle of Namur, the Belgian Grand Prix remained one of the most unique races on the GP circuit into the 2000s. Enjoy.